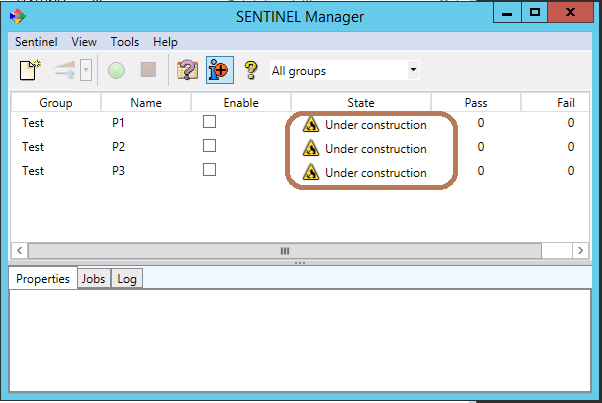 After replacing DLL or Exe file(s) in SENTINEL, all of the Sentinel watchers, has “Under Construction” after the service restarted. These Sentinel watchers were running normally prior to the file change(s). When you manually change one or more EXE or DLL files for SENTINEL (patch installation – for example). All of the Sentinel watchers, after the service restarted, went into “Under Construction” state. The problem was caused by security feature in Microsoft Windows. When a file is downloaded from Internet or Email, it is marked as blocked. 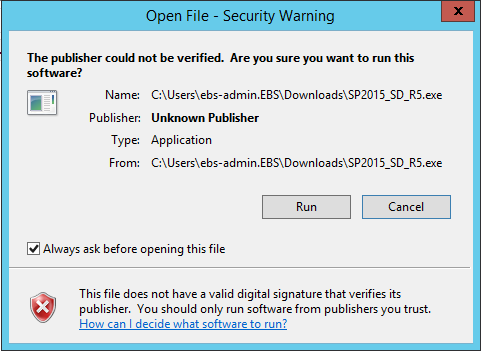 If it is an EXE file, when you try to execute the file, Windows warn you with a message similar to this and you have the option of Running the program. Also, if you uncheck the “Always ask….” box, Windows will not prompt you again. However, if the file is a DLL, Windows will not prompt you for anything. It simply refuses to load the DLL. 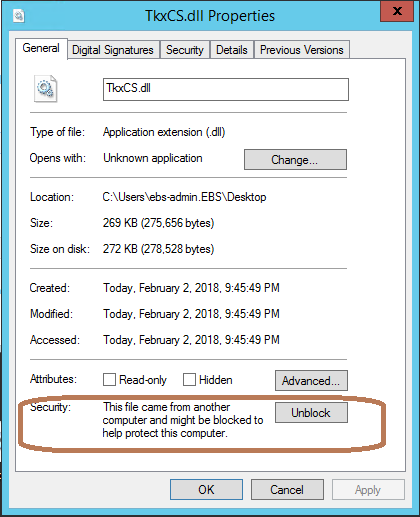 To fix this problem, locate the DLL file and open it’s properties page.